The Nintendo 3DS card battle game Cardfight!! 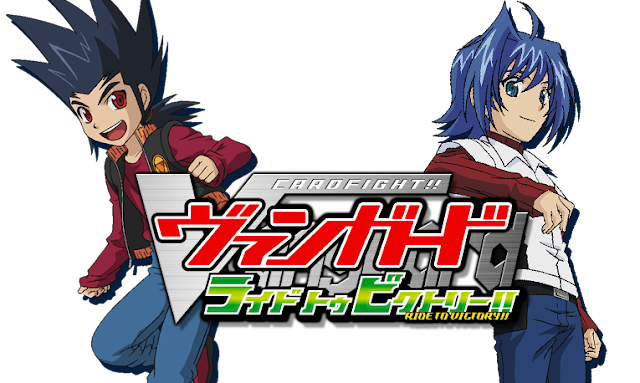 Vanguard Ride to Victory was released in Japan today, garnering a wave of enthusiasm from English-speaking cardfighters across the globe. Focusing their attention toward the official Facebook page, the requests for the game to be localized have not gone unnoticed. Bushiroad responded by uploading the Japanese commercial for the game and an official video of the gameplay, apparently testing the waters for what kind of reception Ride to Victory would have with westerners. While the task of translating and localizing a video game for an English-language release is daunting, a third party specialist with interest in Ride to Victory may be able to answer the fans' cries; publishers like XSEED Games and Atlus have built their force in the market localizing niche products, and Cardfight's multimedia appeal has been known to sweep in consumers. Ride to Victory in its current state is like a genie in a bottle not yet opened. The question right now is which company, if any, gets to it first, as they will be in line to localize future Cardfight games as well. It is definitely still possible that Bushiroad will publish it themselves, as while their other branches have never taken on the task before, domestically the company is the publisher for the Tantei Opera Milky Holmes visual novels. The 3DS has been a runaway success in both Japan and in the States, with the XL redesign alone selling a combined 7.05 million units in the first six months of its release, more than three times as many as the PSP Vita's global sales in its first nine months. As each unit's sale represents a potential Ride to Victory sale and another person's entry point into the rest of the franchise, Ride to Victory may have a promising future in the west. Ride to Victory was rated B by the CERO, the Japanese equivalent to the ESRB's E10+ rating in the US, allegedly for containing sexual content. Famitsu magazine rated the game 8/8/8/7 for an aggregate score of 31/40, on par with the 3DS release of Tales of the Abyss.